Here I am, now on my third day in Coimbra and I have managed to find reliable wifi in the hotel lounge. 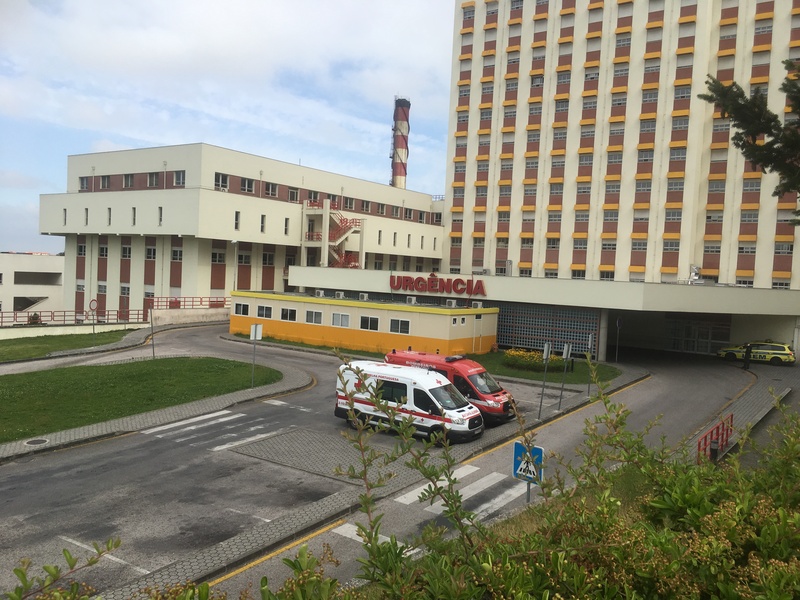 The hospital here is suffering from the international cyber attack and all email and internet is still down and proving to be a real challenge to my new Portuguese colleagues. However, the sun is shining and patients are being seen regardless of the technology failure! The city of Coimbra itself is very beautiful and very old, dating back to Roman times. It sits on the top of a hill over looking the Mondego River and the old town is a maze of tiny winding streets leading up to the University of Coimbra, one of the oldest European universities, established in 1290. The main hospital on the other hand is fairly modern built in the 1980s but feels older due to the brown and mustard coloured decor. Some bits are light and airy and very modern and others are not. 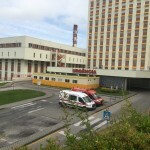 The hospital is actually a merger of two sites that came together in 2011 creating Coimbra Health and University Centre (CHUC) the biggest integrated research and teaching hospital in Portugal. 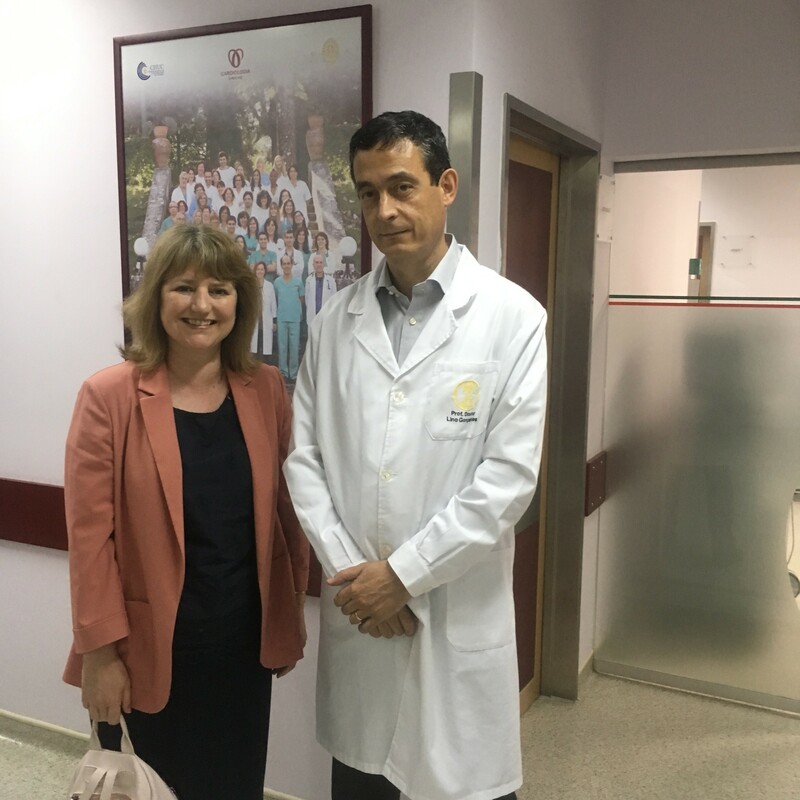 My first day was spent with a great hospital manager called Jorge, who has himself done 4 HOPE exchange programmes!! His knowledge of health systems in the UK, Denmark and Spain as well as his own was impressive. He gave me a good introduction to the hospital and the work it does and was immensely proud of his organisation. He did look a little perplexed when I tried to explain that I worked for a devolved NHS function, hosted by Salford Royal, part funded by Health Education England, covering the North West with some national projects! On my second day I found myself in scrubs, touring the day surgery facilities and observing part of a surgical procedure which I really enjoyed and despite this not being my professional area of expertise I managed to ask a number of appropriate questions. I saw both state of the art 21st century facilities and again some that weren’t. I also spent time with the kidney transplant team. CHUC is the transplant capital of Portugal performing transplants in kidney, heart, lung, bone marrow, cochlear and liver. It recently completed its 1000th liver transplant. Finally today, I met the brilliant and talented Cardiologist Professor Doutor Lino Goncalves who was very interested in being creative and thinking differently and is involved in lots of innovations in tele-medicine. He has written several papers that were pinned to the notice board for everyone to read (this will be of special interest to my colleague Rob Young) and was keen for the whole team, including nurses and technicians to be involved in research. I liked him a lot!! I am looking forward to the next few days and in particular a trip to Lisbon to meet with the rest of the HOPE Portuguese team. Stay tuned for more Portuguese health service updates and tourist tips!